Our Placing (steel fixing) service, which is available throughout the country, enables us to offer both commercial and industrial construction customers a ‘one-stop-shop’ package, featuring not only quality product, but installation by a highly professional team. "The feedback we’ve had from clients has been extremely positive – they’re pleased that we’ve taken the initiative in offering this service and are eager to use it," says Fletcher Reinforcing’s Head of Reinforcing, Paul McIver. Providing placing teams with the backing of our systems, particularly in relation to health and safety, is highly valued and this aspect of our business is greatly valued by many clients on projects such as The Justice Precinct in Christchurch and The Waterview Tunnel in Auckland. For major projects we will include a steel fixing supervisor in the early contractor discussions so that their experience can be used in the planning phase before a job commences. By using this service, the site is in constant contact with the processing facility to ensure that last minute changes on site or changes to structures can be accommodated efficiently and at speed. This service removes a major site Health and Safety risk form the contractor and gives them the confidence that steel will placed in time and in line with the construction schedule. Our steel placers are highly skilled workers – could you imagine trying to put this set of bars together? 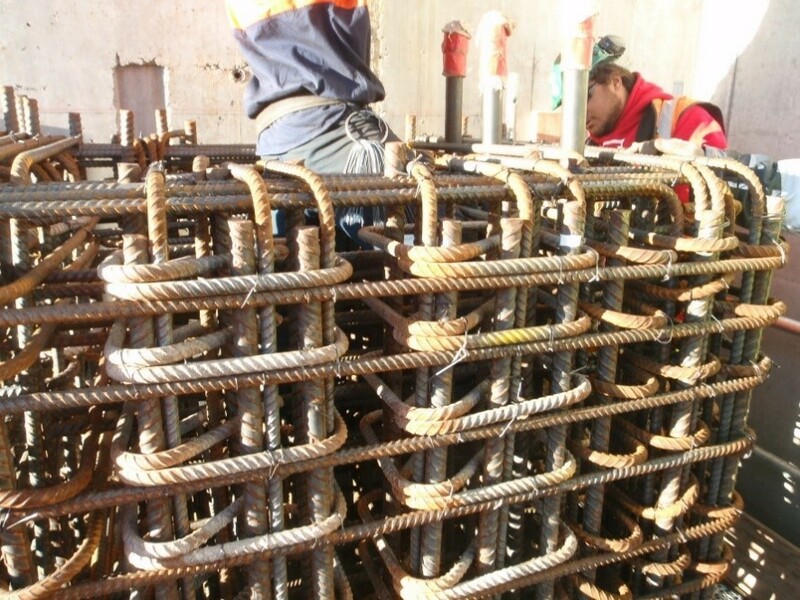 We can also place some of our formwork and joint solutions from Max Frank. We have extensive experience of fixing Pecafil and Stremaform in place. To speed up the construction of the new “cut and cover” trench slab, the engineers looked to Stremaform® for their construction joints.